Following the official announcement of my next spring release with fellow author Tammy Tate. ( You can read that post here if you missed it). I had the pleasure of interviewing her from this side of the Atlantic. Here’s what she had to say.. Let’s meet her and get to know her style. How did you start writing romance? One day a good friend of mine gave me a historical romance novel. She said it was good and that I should read it. I took it from her, but living in the country on two and a half acres with six horses, two rottweilers, two cats and three kids I didn’t figure I would have time to sit down and read. One night after I crawled into bed exhausted from the day I thought what the heck. I took Brazen Ecstasy by Janelle Taylor off my nightstand, opened it up and began to read. Before long, it was 3 a.m. The bad part was, I still didn’t want to put it down. But I did, knowing I had a long day ahead of me. I had to see my husband off to work, my kids off to school and the horse shoer was coming. Between bowling three nights a week and bouncing between school sports, my husband and I had a full plate. Somewhere in between he made a descent living. It took me about three days to finish Brazen Ecstasy only to learn it wasn’t the first of the series. But I was hooked. I had to find the others. Some of them were out of print and I searched every used book store for miles around until I had all seven. By the time I finished reading them, I was so pumped up I decided to write one myself. Make up my own rules. Tell a story…my way. Within no time, I had twenty-seven chapters plunked out on a Brother’s word processor. (I didn’t have a computer back then and was at the mercy of a landline for internet which was slower than molasses.) Back then, to submit a manuscript, you had to print and mail it in. I finally got my first computer and I didn’t want to know what keys to push. I wanted to know why you pushed those keys. One thing led to another and I put my writing on hold. With the help of countless computer books and a computer friend I opened my own computer business. I spent the next seven years writing databases, troubleshooting computers and building them from the ground up. Then a new chapter opened in my life. I got into law enforcement dispatching police, fire and EMS. Seven years went by and my husband took a job in Las Vegas and we sold our house in Texas and moved 1650 miles across the states. He didn’t want me to work in law enforcement in Las Vegas because he was afraid he’d never see me. The hours were long. Holidays and weekends were the busiest. That’s when I decided to write again. But, times had changed. Now, there were ebooks and anyone could put them out there for the world to enjoy. I even put my first story on smashwords.com to see if anyone would enjoy reading them as much as I enjoyed writing them. Within the first three months The Spirit Path, a time travel romance I had written, had been downloaded over 7000 times. The ones that weren’t complaining about spelling and grammar were screaming for more. I learnt real quick if I was going to continue living out my dream, I needed an editor. Now imagine the look on my husbands face when I approached him about hiring an editor for a book I was giving away for free. It was the same look he gave me when I got caught up playing FarmVille on Facebook and bought million dollar cows to sell for 60k for experience points so I could level up. That’s another story, entirely. Bottom line is, I have a husband who is supportive and told me to hire an editor so I could live out my dream. After, thirty-seven years of marriage, he’s still my biggest fan. Kim: Wowzers Tammy- sounds a bit like my experience when I read Deadly Embrace by Jackie Collins, I then read EVERY book of hers, and started writing romantic suspense! I was not even in my mid twenties yet. It’s great to be inspired by other great writers. What’s your fav genre to read and write? Hands down, it’s got to be heart-pumping ROMANCE with gorgeous men who will do anything for the strong-willed women they love! I can’t write just sweet romance. It’s not in my DNA. I have to sprinkle in jaw-dropping time travel, paranormal, mystery, a haunted house and a ghost or two or have my characters get sucked up in the Bermuda Triangle. Kim: Umm hmm sounds like my cup of tea for sure Tammy. How do you go about story telling do you have a signature style? I’m what you call a pantster! I write by the seat of my pants. I don’t outline before I start. I choose a ‘What if” scenario and jump right in. I write the first few chapters and name the chapter with keywords depicting what I want to take place in that chapter. That always changes several times before I finish. My characters will generally start off with generic names and as they begin to raise up from the pages, I give them their earned names. Kim: Haha! A panster! Love it, I just can’t write like this, I need an outline for sure and develop it as I go alone. But massive props to you for having this skill. No wonder your stories are great to read! You’re a bestselling author how did it feel the moment you earned this amazing title? Kim: Well done you! Again, I am so happy for you. The best advice I could give to an aspiring new author is to never give up. No matter what. If writing is your passion, keep writing. And, read…read…read. Kim: yeah, for sure, never give up! What’s the most frustrating thing about being a writer? I would have to say the most frustrating thing about being a writer is not having enough hours in the day. I’m a full time writer and it’s still not enough. I have so many characters bouncing around in my head with so many stories to tell and not enough time to get them down. The best thing about being a writer is knowing there are fans out there that are as passionate about my stories as I am. 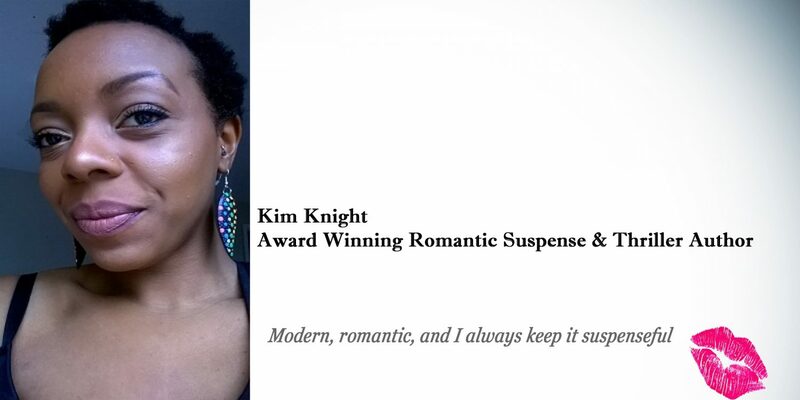 What’s your vision for your romance novel with Kim? So tell us about your latest release Valentine Vision? Valentine Vision was a fun story to write. Mark, the son of an oil tycoon lost his eyesight in a plane crash a year ago and is now in need of a personal assistant. Who better then to apply then an ex-model who lost her modeling career after a near fatal car crash. He can’t see the scar down the side of her face. There’s chemistry between them from the git go, but Tori fights it. He’s her boss. That isn’t supposed to happen. Against her better judgement, she gives in and after she has to save him from drowning his ego takes a hit. He let’s her go because he thinks she deserves better. Until his doctor calls informing him of a new surgery that might restore his sight. Will he still think she’s beautiful? Kim: Sounds great! I can’t wait to read my copy. This entry was posted in New releases, Romance fiction writing, Uncategorized and tagged author, authorspotlight, interview, newrelease, romance. Bookmark the permalink.